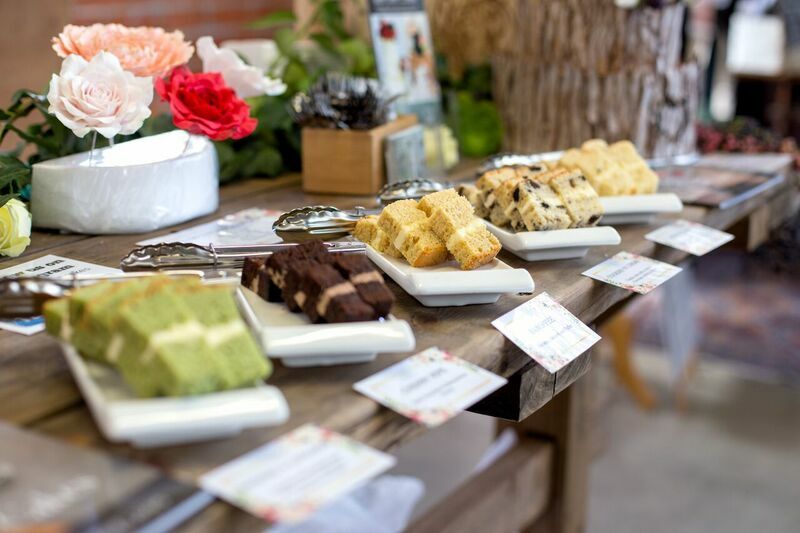 I recently got the opportunity to be a part of Adelaide’s Love Cherish Adore Bridal Fair at Plant 4 Bowden on the 10th of September. Amongst 50 other leading and boutique vendors I got the chance to finally step up and show what I could do. This was such a massive achievement for me and scary as heck! Would I do it again? You betcha!! This was my first time as a vendor exhibiting in a bridal fair and so many thoughts ran through my mind, most of them being “would they like what I do? Would they like me? !” and then, what do I even create? 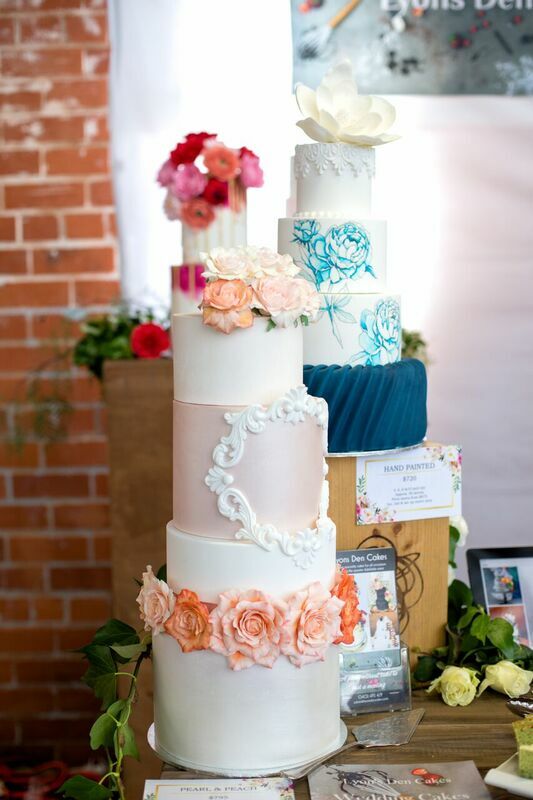 So many options, so many themes, so many different way to decorate a cake! But after some sobering words from a great friend, “create what you’re passionate about”, I was back on track. Now if you haven’t picked up by now, my style is quite imaginative and a little quirky. And I know that I may not be everyone’s cup of tea, but I gave it a good darn go. I created endless lifelike sugar flowers, hand cut fondant confetti, marbling, gold, geometric patterns, hand painted designs and of course my signature hand rolled chocolate woodgrain. Through the process I found out how much I missed art and painting, how much I loved creating cakes that didn’t fit inside the norm. Setting up the night before I was a bunch of nerves, tweaking my stall over and over. But after my best friend arrived and we started talking to the many brides, grooms, bride tribes and families throughout the day, I found my groove. And found so much more inspiration in the people I spoke to! What an amazing day and an amazing experience! So many positive reactions and feedback from the day, and the other vendors were just a wealth of knowledge.